TNPSC VAO Answer Key 2018, TNPSC VAO Solved Question Paper 2018 Download PDF, TNPSC Group 4 Question Paper 2018 held on 11/02/2018, TNPSC VAO 11/02/2018 Question Paper and Key Rajaji Academy, WeShine Academy, Aasean Vikas Academy 2018 – Tamil Nadu Public Service Commission (TNPSC) has successfully completed written exam on 11.02.2018 various centers in Tamil Nadu. Candidates who are appeared in the competitive exam they all are searching for solved question paper to estimate score and cut off marks. 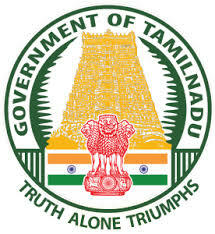 Here you can download Answer Key of TNPSC VAO and Question Paper in PDF format. Which state government has launched Gyankunj e-class project?